The global economic downturn has accelerated a trend that has been gathering momentum for years. CFOs, and corporate offices of Finance generally, are getting more involved in operational decisions than ever before. But while the need for CFO input into operational decision making has been growing, reliable information that CFOs can trust to support that decision making has been lacking. 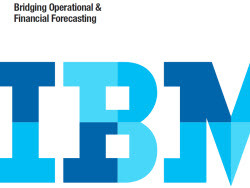 Download and read Bridging Operational & Financial Forecasting, and take advantage of the insights and advice these experts provide.